Using our question marks game you will be able to learn how to use question marks. 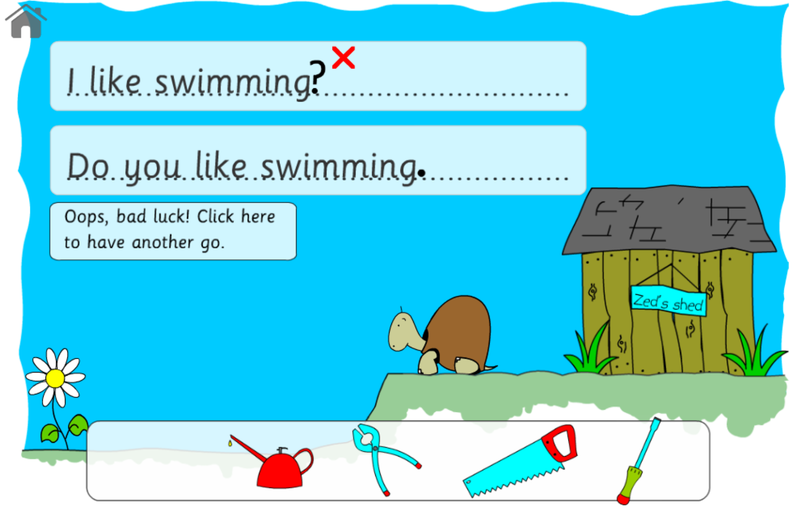 The reading game features Zed our inventor tortoise. 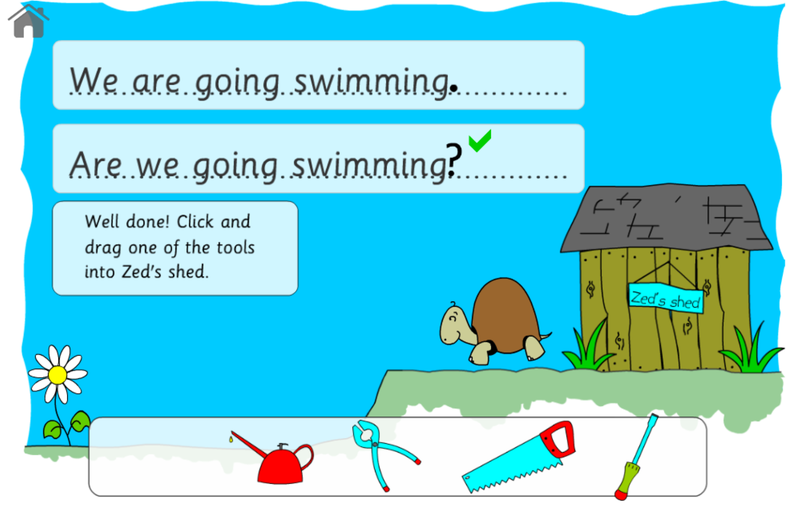 He’s at it again, building inventions in his shed, put the question marks with the questions to give Zed more tools to help him with his latest invention. What could it be this time? 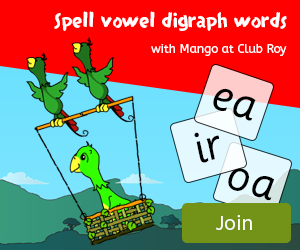 Please register if you intend on using this reading game. 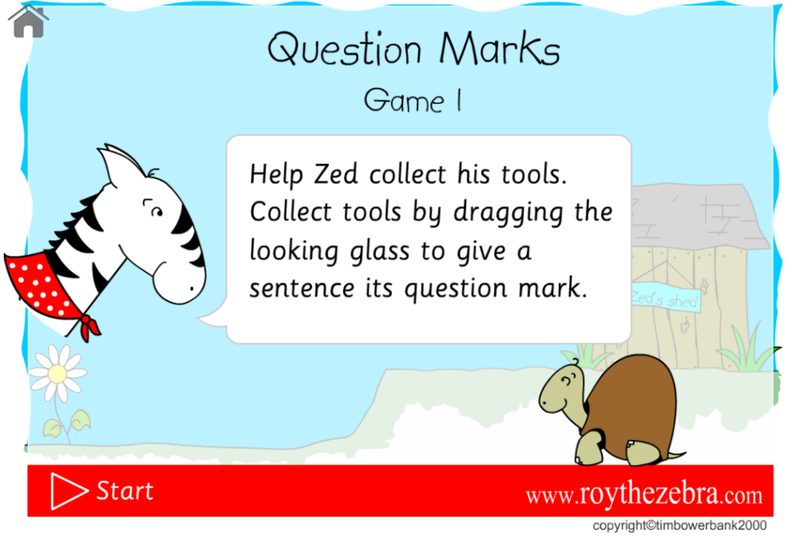 Can you help Zed with his question marks in this reading game? He's desperate to start building a new invention but needs you to add the question mark to just the questions, if you add them correctly you'll be able to give Zed his tools. If you like this question marks game then you'll find another four versions at Club Roy. The introduction screen will appear after the reading game has loaded. Read the instructions and then click the start button. A sentence and question will appear but they both have full stops! Read them carefully, one of them is a question and should have a question mark. Drag the question mark looking glass over the top of the full stop that you think should be a question mark. Hey presto, it will change into a question mark when you drop it. The reading game will detect that you have answered the question and will mark the round automatically. Now you'll be able to give Zed one of his tools. Drag a tool and drop it on top of the shed. Zed will be very pleased with you and will scamper into his shed to use it on his invention. 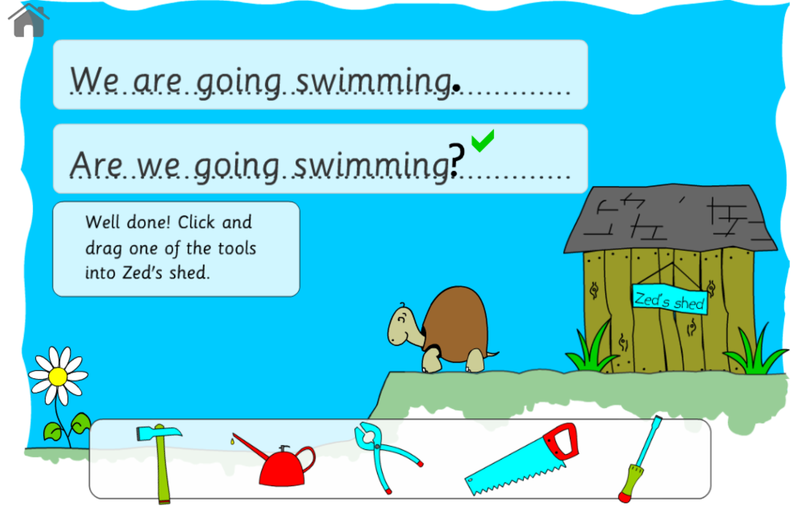 This question marks game includes animated tortoise and shed, draggable question mark looking glass, draggable tools, sound effects and easy to use interface. 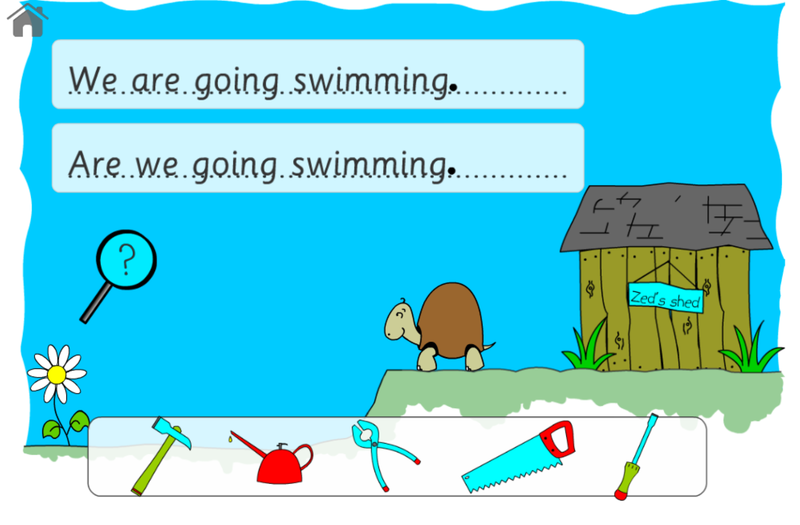 Play this reading game on iPads and Android tablets. Also compatible with desktop and laptop PCs and Macs, ideal for using with an interactive whiteboard. Compatible with Internet Explorer, Chrome, Firefox and Safari web browsers.